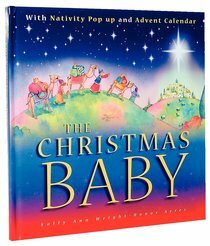 Featuring the much loved artwork of Honor Ayres, this Christmas storybook includes an interactive 24-window Advent calendar plus a pop-up Nativity scene. A great way to involve kids aged 4-7 in the real "reason for the season"! Sally Ann Wright is a trained teacher and experienced author. She has written a number of books for children including several retellings of well-loved Bible stories. Married with four children, she lives just outside London. Honor Ayres is a talented young illustrator, whose first major book, A Child's Bible, topped 100,000 copies in its first printing. Honor is married with two young daughters and is actively involved in her local church in the south west of England.